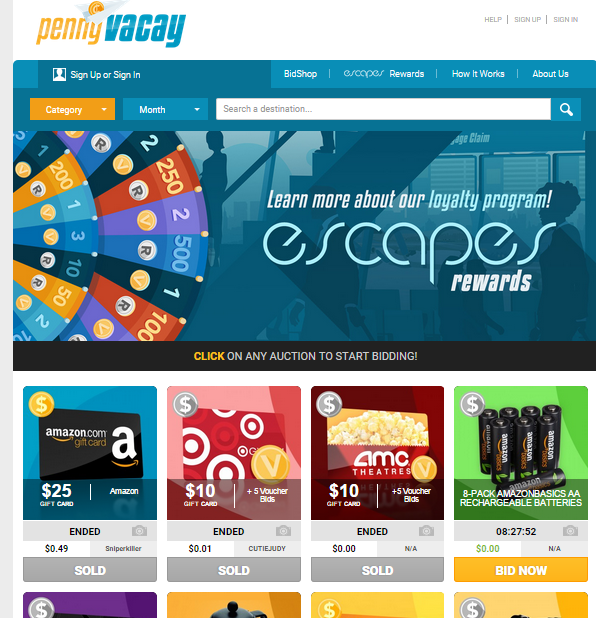 Reminiscing on the early days of penny auctions after Gary aka Realbidtowin comes back on PAW, PennyVacay is a new penny auction site that when I first told you about it here a few months ago was going to be a penny auction for travel deals. Maybe they will offer travel deals after their site gains more traction, but right now they do have live auctions up, they’re just not all really travel related. Though you could use them on adventures. They currently offer penny auctions for $10-50 Amazon gift cards, Target, AMC Theatres, Amazon rechargeable batteries, jumper cables, Bodum french presses, Marriott Hotel gift cards and more. “We just launched our site PennyVacay.com on July 1st after doing months and months of the exact reasons bidders like you gave it all up. 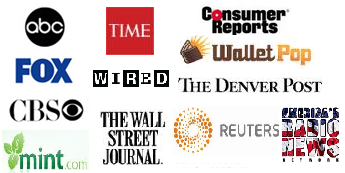 Now that these sites have come into their adolescence, its clear what works and what doesn’t. We are hoping we have developed a system that has more control over the disadvantages for users and immoral business practices. We have a rewards system that keeps users of a certain skill level within certain auctions. The new users can go against one another, and the skilled can go against one another. Sites that don’t pay out what they promise is the worst of all and usually happens when these sites go bankrupt (usually because they didn’t do their math correct and started hemorrhaging money). We are starting small and scaling appropriately so that never happens to us. If we were to ever shut down we are also legally obligated to pay out any remaining outstanding auctions. Check it out and let us know what you think of PennyVacay.com. Join us in the Penny Auction Watch forum and share your bidding experiences with us! With poor business strategies and very little regard to its customer base, pennyvacay has done everything in its power to drive people away from its site. Next post: Penny Auction Watch Facebook Group Hijacked, Alleged Ties to Penny Auction Central and Maybe Even Kocopelle.com?